The pioneering LiteTouch™ Er:YAG dental laser system from Light Instruments Ltd. is completely changing the face of dentistry worldwide, making good oral health more convenient for patients and dentists alike. 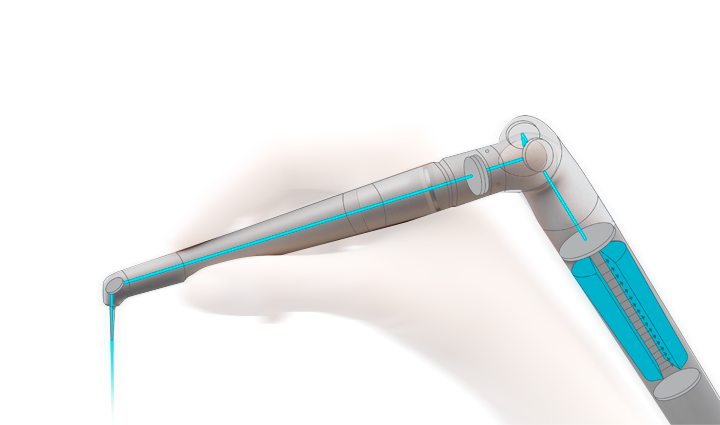 LiteTouch™ is an intuitive, user-friendly microsurgical instrument that provides optimal precision alongside unbeatable versatility and ease of movement. With outstanding ablative and sub-ablative capabilities, alongside bactericidal effects, LiteTouch™ uses light energy to precisely sculpt dental tissues, enabling a minimally-invasive surgical approach. Thousands of cases worldwide have already proven the precision and efficacy of LiteTouch™ dental lasers, with improved treatment results and increased patient satisfaction across the board. This is why the groundbreaking Israeli-made LiteTouch™ dental laser is becoming a “must” for every dental clinic. Now patients everywhere can receive excellent dental care with revolutionary treatment comfort, while dentists enjoy the better performance enabled by this state-of-the-art dental laser technology. LiteTouch™ is the world’s smallest Erbium YAG dental laser for both soft and hard tissue dental treatments. The unique “Laser-in-Handpiece” technology houses the entire laser mechanism within a small chamber (12cm long by 2.5cm diameter), creating direct energy delivery. This innovative solution minimizes energy loss and mimics the feel of the turbine drill, yet incorporates the laser’s unique benefits. LiteTouch™ is an Er:YAG dental laser, the least invasive new dentistry technology laser wavelength, with massive absorption by water and hydroxyapatite. It can therefore be used on hard and soft tissues for ablation, cutting and decontamination with excellent efficiency. LiteTouch™ is safe and limits collateral thermal effects. It vaporizes oral tissues with a micro-ablation mechanism, maintains tissue integrity and vascularization, and has bactericidal effects on microbial biofilms as well as the ability to interrupt quorum sensing. A uniquely small dental laser, the LiteTouch™ handpiece is fiber-free and the most ergonomic in the world, enabling unlimited movement and easier access to all areas in the oral cavity. The laser energy is swiftly delivered to the tissue, providing supreme cutting power and precise incisions. As a result, it requires only a very short learning curve. Equipped with the LiteTouch™ dental laser machine, dentists can perform laser soft tissue and hard tissue procedures with full, free expression of their dental excellence and expertise. The new LiteTouch™ model is remarkably compact, portable, and lightweight. Featuring a modern design that won the 2016 Red Dot award, it is available in a variety of colors with visible illumination, contributing to the clinic’s welcoming atmosphere. LiteTouch™ seamlessly integrates with any dental practice, with robust, streamlined hardware that takes up less space in busy surroundings. The result is a more pleasant, appealing atmosphere for both patients and practitioners. 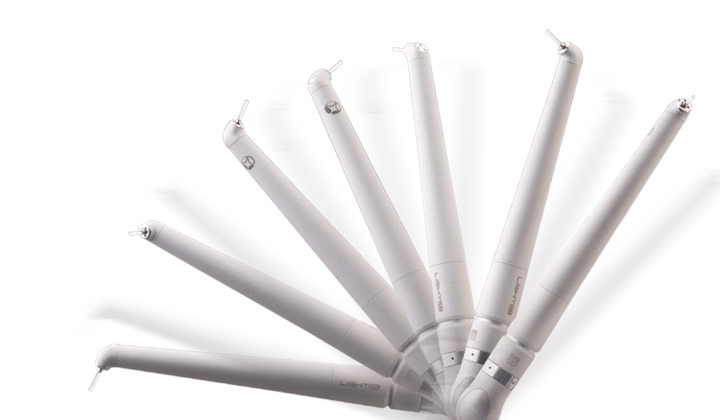 A wide variety of tips can be used with the LiteTouch™, with diameters ranging from 200 to 1300 microns and several options of tip lengths, facilitating access to different areas in the mouth. The laser ablated tissue surface (spot size) corresponds to the tip’s diameter. 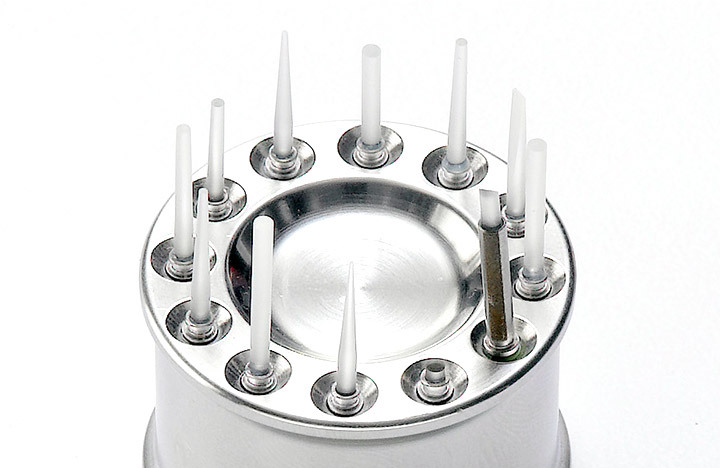 Each tip diameter is suitable for different dental tissues and procedures. The wide range of tips allows LiteTouch™ application in almost all types of dental surgery and other procedures in a minimally invasive way. 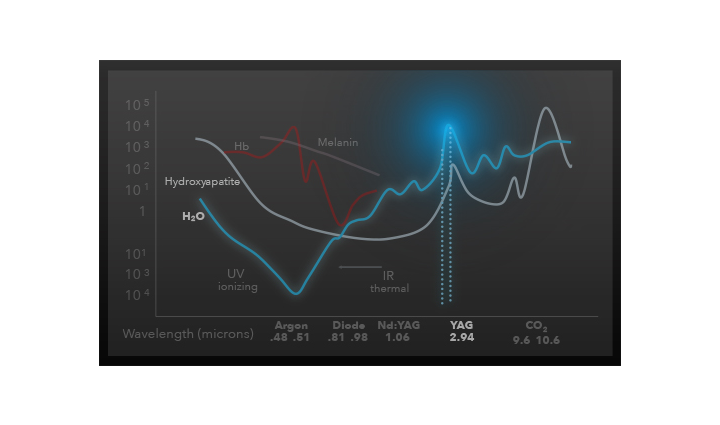 LiteTouch™, a new dentistry technology features a friendly, intuitive user interface with a touchscreen that is simple to use during procedures, with no need for complicated calculations. The software includes adjustable pre-sets as well as comprehensive status updates. The device features an easily-accessible front socket for the applicator cord, an applicator cradle with two adjustable positions, and a waterproof foot pedal. The various exchangeable handpieces can be easily sterilized using standard autoclave processes. Light Instruments’ innovative Laser-in-Handpiece™ technology, based on the Erbium:YAG laser, operates at 2.94 micrometers – a wavelength that caters for a broad range of treatments and ensures minimal unwanted penetration together with safe operation.Continuous, user-oriented R&D ensures a fully-ergonomic product that provides a top quality, easily-maneuverable solution for dentists. LiteTouch™ robust H/W & S/W architecture supports a long lifetime and easy service. LiteTouch™ small footprint in the clinic was achieved through optimal utilization of cutting-edge technology, without compromising on the highest quality standards. 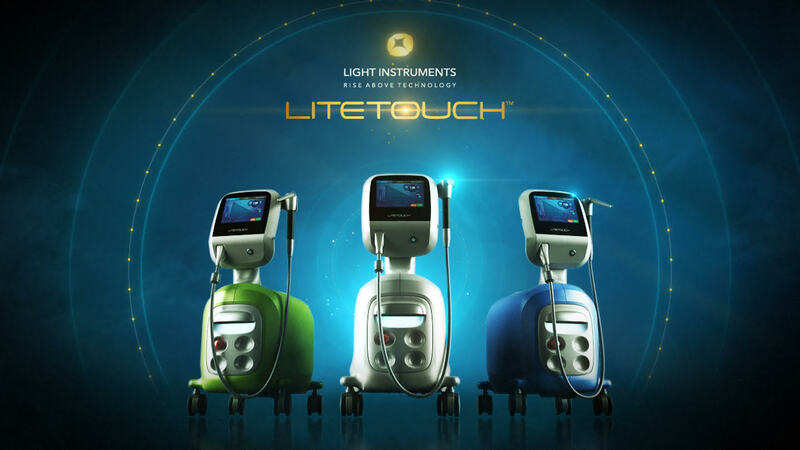 Developed at the heart of the “start-up nation”, where medical device innovation is combined with ingenuity, Light Instruments’ exclusive LiteTouch™ technology offers exceptional usability and comprehensive safety for patients, dentists, and clinical staff alike. 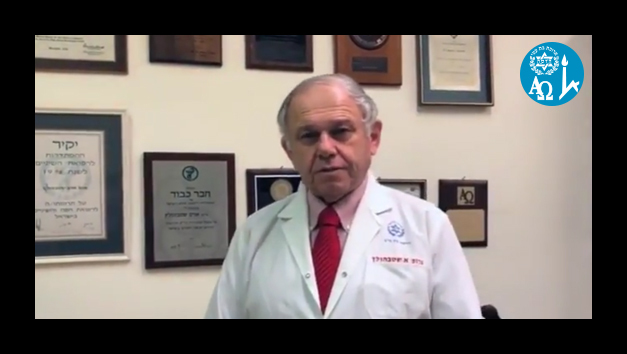 As the Dean of Hadassah School of Dental Medicine at the Hebrew University of Jerusalem and Head of its Endodontic Department, I have worked with several lasers and conducted research projects studying their applications in clinical procedures. Since I believed that laser technology would become an integrated part of dentistry, I was active in establishing a laser dentistry course in the final year of our DMD program. 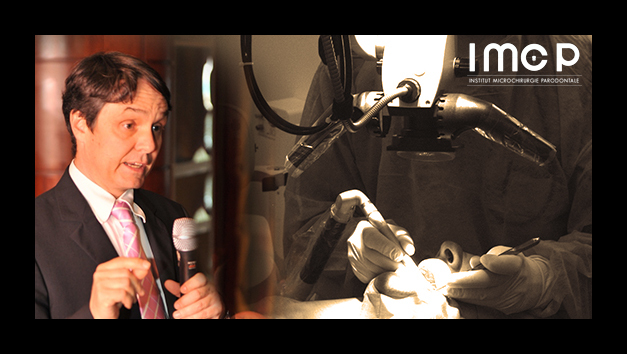 During my term as Dean, LiteTouch™ lasers were introduced into clinical use in our School of Dental Medicine in Jerusalem. 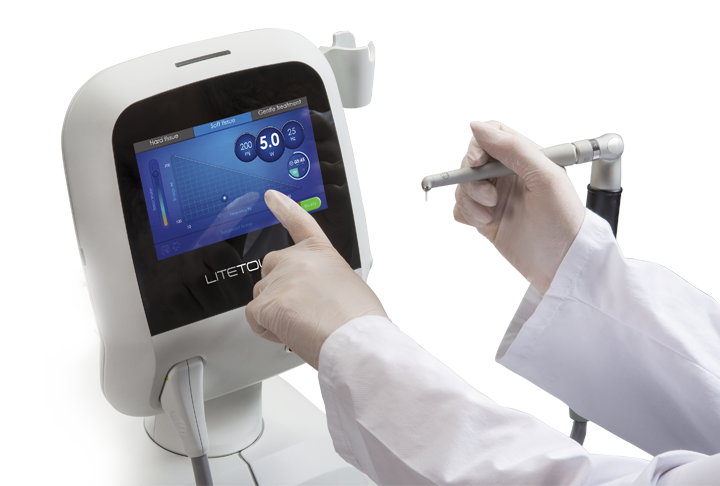 The LiteTouch™ laser by Light Instruments Ltd. became an important addition to the Endodontic Department armamentarium. Our research studies showed that this laser is able to clean the root canal system efficiently and its use was recommended especially in difficult cases associated with infection of the root canal system and its periapical tissues. The LiteTouch™ laser handpiece has good ergonomics and is user friendly. Its learning curve was very short and the small dimensions of this laser handpiece enable ease of intraoral use. It is also simple to move the laser between the various clinics of our departments. I believe that in the future lasers will gain a more dominant role in modern dental medicine. I have been using an integrated Er:YAG laser in my clinical protocol for five years. This technology has provided me with a tool that offers the level of precision required for decontamination microsurgery. The ergonomic design and exceptional performance of the LiteTouch™ laser allows me to work in a highly efficient manner with optical aids, achieving tissue micro-ablation under a visual check and by destabilizing the biofilms. Its anti-inflammatory and antiseptic effects are fundamentally important for periodontology. The strong water absorption for which the Er:YAG laser is known means that it is suitable for multiple surgical applications, particularly in the area of gingival microsurgery and in assisted pre-implant bone regeneration procedures. LiteTouch™ new dentistry technology has become, for me, an indispensable tool for non-invasive procedures. 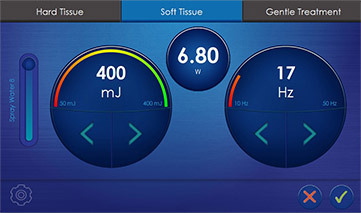 In my studies, the LiteTouch™ laser displays several advantages over other lasers, including high incision quality, removing several cell layers, improved healing properties, and postoperative benefits for patients. Moreover, in dental clinical procedures, many patients are fearful of injections due to painful and traumatic experiences. In my clinical report, the LiteTouch™ Er:YAG laser provides a safe and effective clinical method for the removal of lesions, and can be used with topical anesthesia, eliminating the need for needlestick local anesthesia. My research has indicated that water spray surface coolant is critical in suppressing heat-induced surface alterations and protecting the tissue. Inadequate water cooling may result in laser-induced charring, which may affect and delay healing. As the LiteTouch™ Er:YAG laser’s energy is accompanied by water spray, the laser will not cause heat injury on the tooth surface or pulp. Finally, the Lite Touch new dentistry technology provides an effective and reliable method for dental treatment, with satisfactory clinical outcomes. 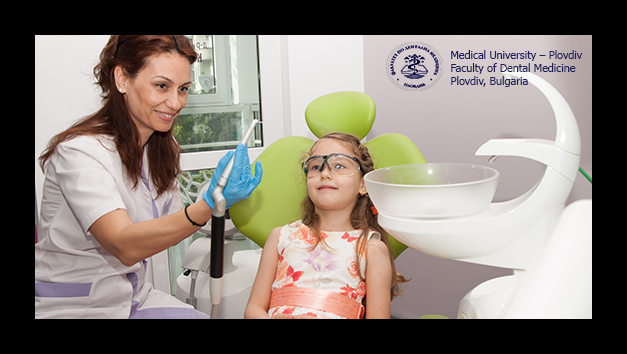 From my personal experience as a pedodontist, and as found in recent research we performed at Plovdiv University, LiteTouch™ generates good perception and acceptance from children, making it easy to manage their behavior during dental treatment. Children prefer to be treated with a laser rather than with rotary instruments. They demonstrated cooperation during treatment with the LiteTouch™ Er:YAG laser. I found LiteTouch`s new “Gentle Treatment” application, including low energy levels, excellent for obtaining an analgesic effect. Reduction of pain strengthens the relationship between the dentist and the child, creates trust, lowers dental anxiety and fear, and encourages positive behavior during next dental visit. This is why I recommend that my colleagues use the LiteTouch™ Er:YAG laser for pedodontic treatments. It assists prevention and an improved experience, completely transforming patients’ perception of dentistry.